Our Mum came by the store for a surprise visit on Sunday. She is the original picker of the family! I remember when I was quite young, we used to go on Sunday drives and poke about all kinds of places picking up nifty bits. My Mum and stepfather had a table at the local flea market for years and we all began collecting stuff. I began with Beatles memorabilia and pieces of Italian mosaic jewelry. Our younger brothers were into bottle caps and coins. It was always great fun. 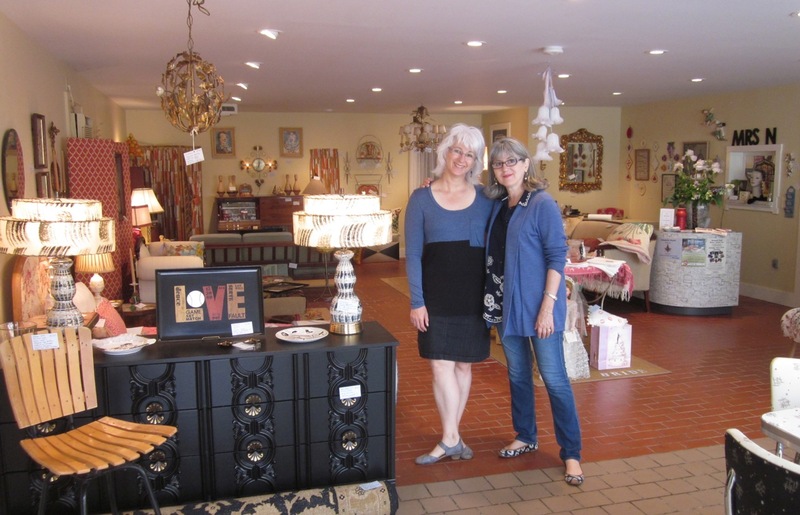 Later in life, our Mum and her husband had an antiques shop just outside of Kentville for a few years. So, Jane and I come by our collecting habits quite honestly. Thelma Bliss is currently the Senior Advisor, Research and Acquisitions for Mrs. Nicholson Home. 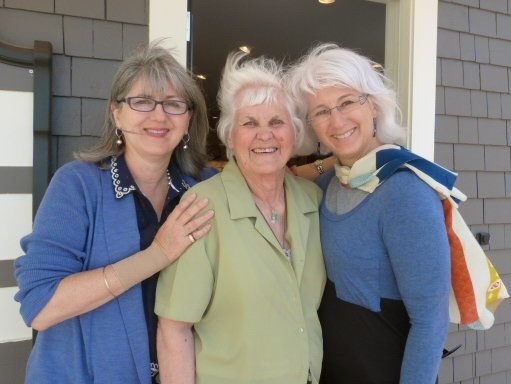 Jane, Mum (Thelma Bliss) and Christine outside Mrs. Nicholson Home. LOVE and the Masons come to town! Love is in the air this June 2nd morning in Annapolis Royal. In the store we have a wonderful tennis-themed Couroc inlaid tray from the late 1950s. 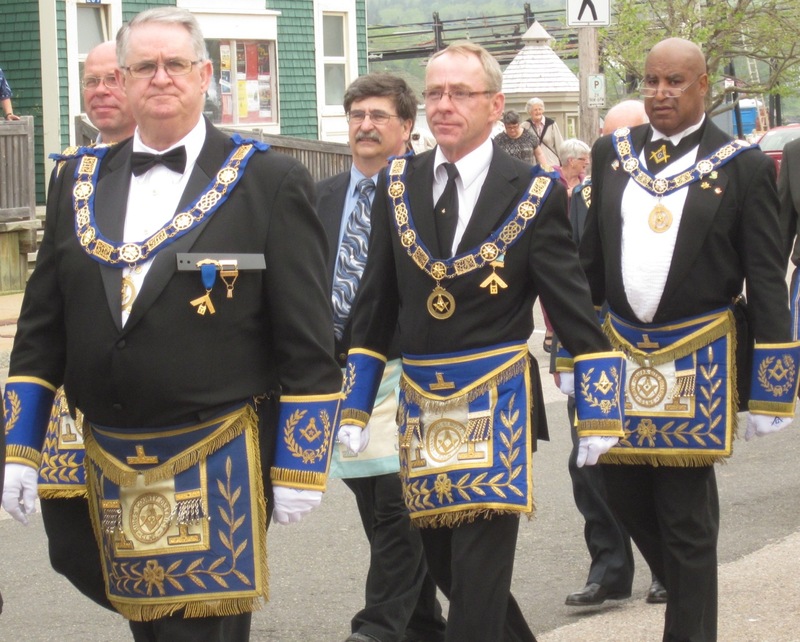 Outside we had a fantastic parade of Masons from all over Nova Scotia celebrating the 275th anniversary of the birth of Freemasonary in Canada. First Lodge founded in 1738 right here in Annapolis Royal, the Town of First Things! One of the fun things about having a vintage store is to discover the history behind a piece. 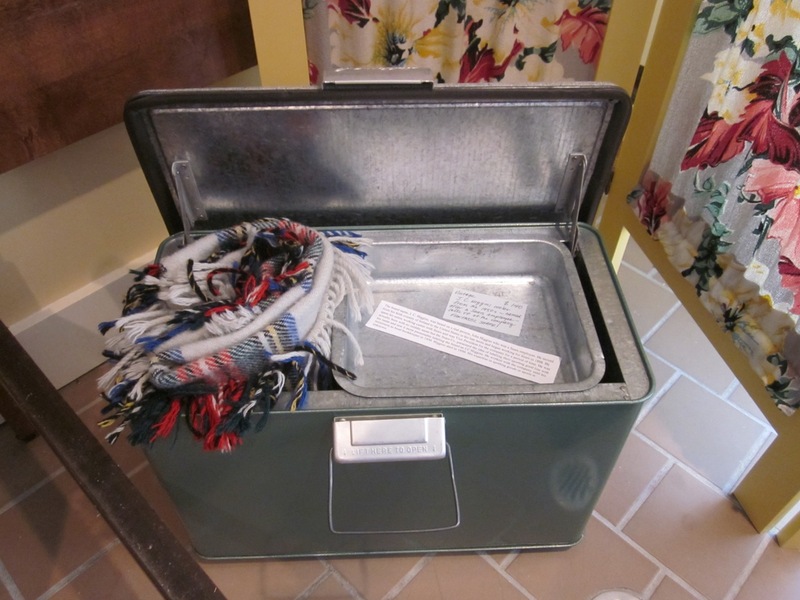 Right now we have a J.C. Higgens cooler for sale. A real gem complete with its tray in a great green colour! So, I began to research this object and and what a story! Turns out that J.C. Higgens was a real person named John who was a Sears employee. He came from Ireland and began working with Sears in 1898. He spent his whole career there and became vice-president of the company for a time. Sears decided to name their sporting good line with his name. He worked for Sears as head bookkeeper until his retirement in 1930. He died in 1950.